I emphasised that only steps 2, 3 and 4 should be run as step 1 relates to possible malware issues, this is something that is not dealt with at GTG outside of the malware forums, on your return please advise as to where you are up to with this and we can go from there. Didn't know about that rule. Rules are rules and I don't want to break them. Sorry was just trying to help the OP and knew you were busy! Step 2 of Windows Repair is running a Malwarebytes scan, and step 1 is to do a power reset. Sooo should I skip steps 1 and 2? The steps must have recently been changed so sorry about that. Steps 3 and 4 only then please. When I tried to do step 4, it didn't work. The program says there isn't a SFC built into it so it uses Window's version, which didn't work before so it makes sense why it didn't work this time. I have a picture of it. Well this is not going well. 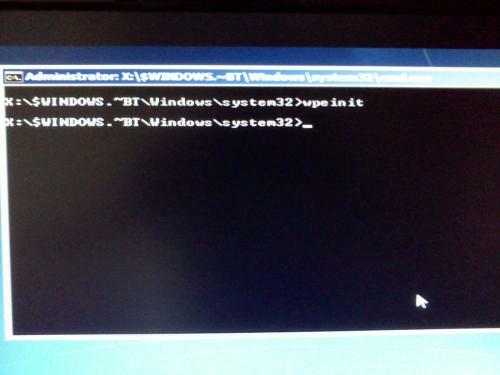 During the install, a command prompt popped up and nothing happened. When I hit exit, the computer would restart and give a list. 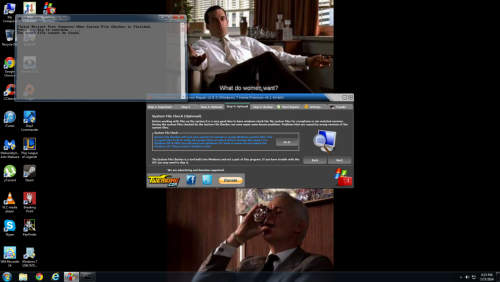 I could either hit Windows 7 setup or Windows 7. 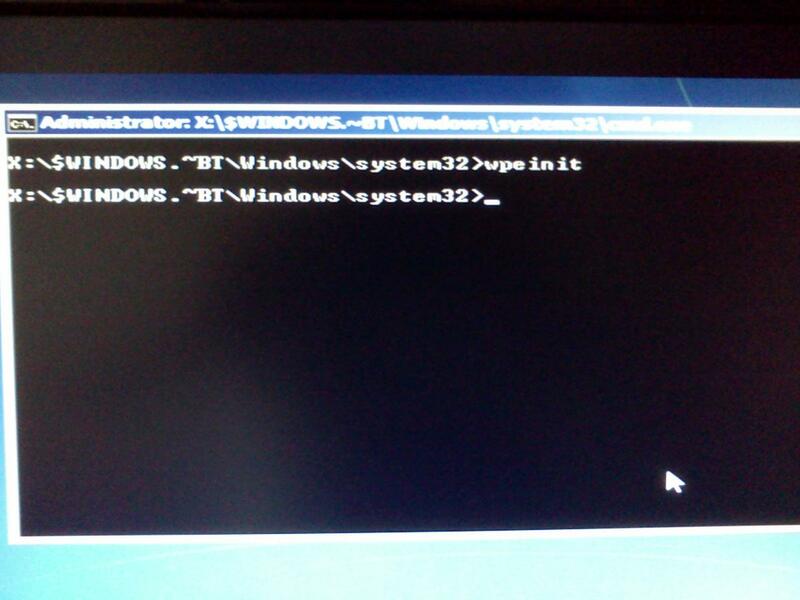 Windows 7 setup would load and go right back to the command prompt again. 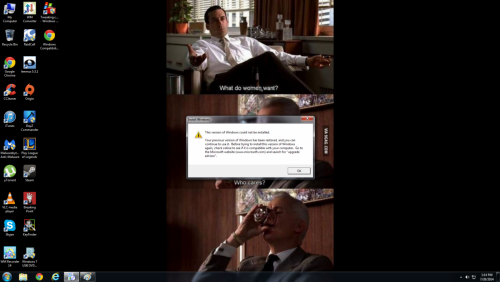 If I pressed Windows 7, it would start and a text box popped up saying the upgrade did not complete and reverted back to its old self. Another option from the list was to press F8 for more options, in which one was repair your computer. I tried that but it didn't work. After that I tried a memory diagnostic and nothing changed. So now I am back to square one. I will never have your problem because I have at least 8 back up images of my OS on two different external drives. (A bit over done, I agree). I create a new one once a month. I have the 5 CD's of my back to factory and a flash drive back to factory, which I could use, and then mount a image of my OS with Macrium Reflect, and then copy and paste or drag and drop any thing in that image. I could also restore the Macrium image to the back to factory restore and every thing would be just like the day I created the image. All this is so easy to do. I just don't understand why more people don't do this. Some thing you might think about in the future! Edited by donetao, 28 July 2014 - 10:57 AM. I didn't know you could do that, I will definitely start now. As well, I had my Wifi USB adapter exchanged under warranty so I will test that out once my PC is fixed. Hello! Phill lives in the UK! May be in bed, but he will help you when he can. Some times members here are shy about replying on topics where other members are helping. They say to many chiefs spoil the soup. I disagree and think the more help the better. There is never one solution to a problem. Phill has always made me feel welcome on topics he's helping on. I try not to step on his toes and hope I'm always careful with my suggestions. I have seen your specs, but wonder what kind of rig your running. I know W7, but was wondering make and model. If you were to create a back up image right now, you could always restore that image and at least be back exactly like the day you created the image. I know you don't want to start from scratch, but you may have to if you want to get your PC fixed. Not being able to run sfc /scannow is not a good thing. That's telling me there are corrupted files that can't be fixed or other serious problems! I'm sure Phill will have answers soon! 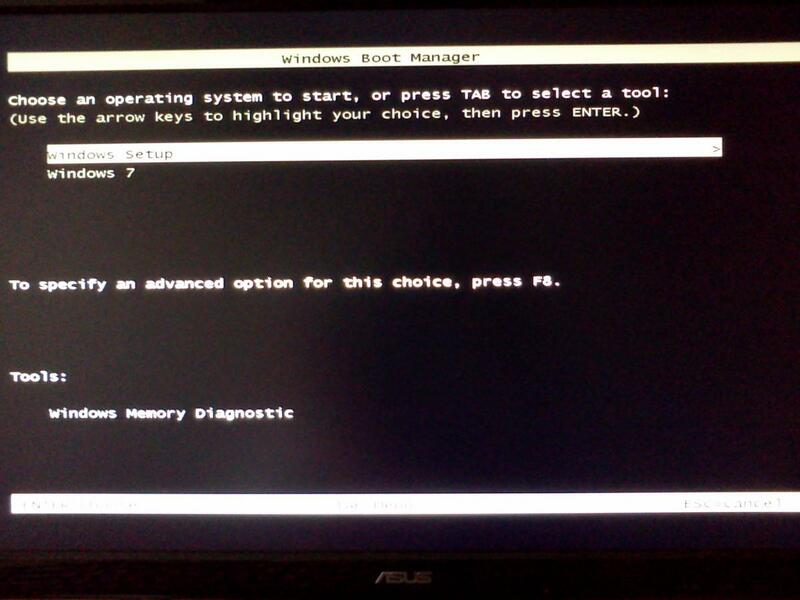 Before any fresh install I would first suggest trying chkdsk /r and backing up any important data from the HDD. For chkdsk, type chkdsk c: /r and press Enter (use the letter from above if not C:). Post back with an update and let us know if you need help with backing up your data. Trying to learn. I know a little about the Windows 7 DVD ISO(need to learn more) but wondering if the system repair disc can get you to the recovery mode in the same way. Here's a great tutorial about the System Repair Disc! A System Recovery/Repair Disk brings you in the Recovery PE, so yes. You can also access the Recovery PE via a Windows 7 installation disk. On the first (or second ?) 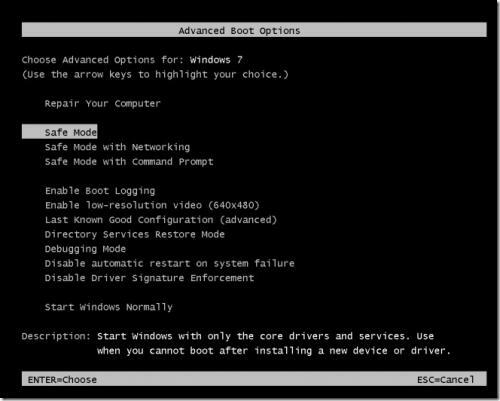 screen, where you have "Begin setup"/"Begin installation", at the bottom, you have a clickable text : Repair your computer. When you click on it, it brings you in the Recovery PE. I do have a recovery disc. I bought this PC used from someone who had it custom built. He gave me the recovery disc but I am not sure if it matches the OS he put on the PC. Ok thanks for the information Aura. I don't want to get off topic and confuse the OP, but here's a link where you can down load the system repair ISO.